*20% discount applies to Manufacturer Logbook Scheduled services only and does not include additional repairs not appearing in Manufacturer scheduled services. Does not apply to capped price Toyota Service Advantage Services. 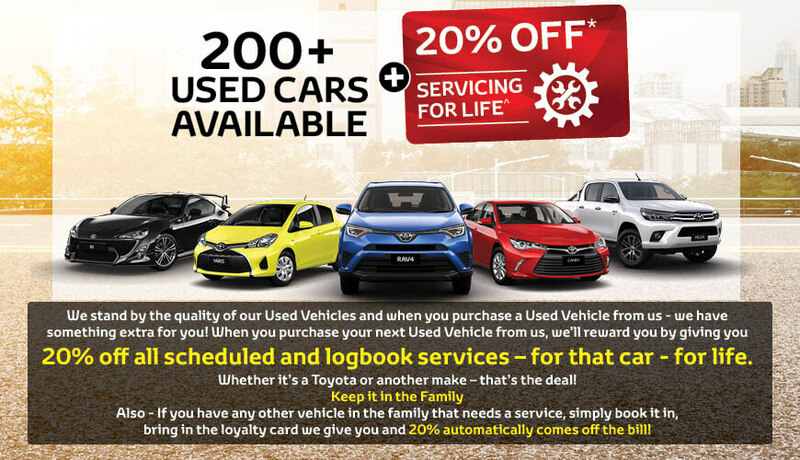 ^20% Discount for Life relates to the Lifetime of your ownership of the vehicle. ^Including replacement of engine oil and filters.